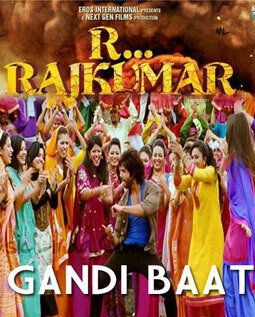 The song Gandi Baat is from Prabhu Deva's new film R... Rajkumar (Rambo Rajkumar). Leading star cast of this film Sonakshi Sinha and Shahid Kapoor has performed the song which is also choreographed by Prabhu Deva. Muh se kya.. kya.. kya..